Jesus leaves no room for doubt. The answer to our prayer … will come. Ask … and it will. Seek … and it will. Knock … and it will. This is the faith-push that empowers us. 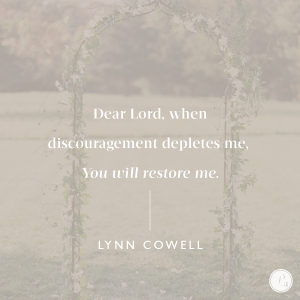 When disappointment and discouragement deplete me, God’s directives restore me. Do you wish you knew the secret of being steadfast and not panicking when God gives you more than you can handle? 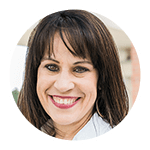 Join us for our Online Bible Study of Lysa TerKeurst’s new book, It’s Not Supposed to Be This Way, which starts today. Register here for free. Reblogged this on A writer's touch. This looks like a great blog to follow.